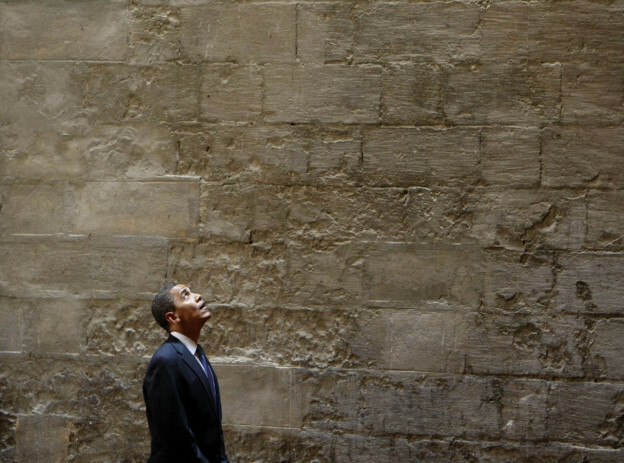 In this June 4, 2009, photo, President Barack Obama tours the Sultan Hassan Mosque in Cairo, Egypt. Obama is scheduled to visit the Islamic Society of Baltimore today. President Obama visits a mosque in Baltimore today, his first visit to one in the U.S. as president. The hope is that the visit will help combat increasing levels of anti-Islamic sentiment in the country, following the recent attacks in Paris and San Bernardino. Imam Mohammad Ali Elahi, leader of the Islamic House of Wisdom in Dearborn Heights, Michigan, talked with Here & Now’s Robin Young about the president visiting a mosque and the issue of anti-Muslim sentiment in America. “The president is demonstrating a good moral model. Whether you are Muslim, Christian, Jewish or other religious traditions, faith matters, prayer matters. But this is the vision – we have to follow out this with action,” he said.